It's not difficult to propagate an apple tree by take some of the semi-hardwood growth from an existing apple tree and rooting it. However, this will replicate only the top of the apple tree. 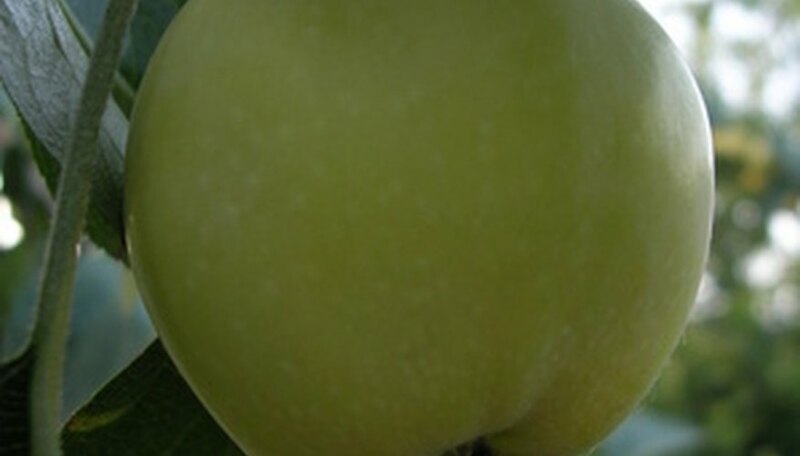 Most apple trees have been grafted onto rootstock, and it is the combination of a healthy rootstock with a select type of apple seedling that yields a productive apple tree. Of course, there are apple trees that have grown from seed, especially in areas like New England where apples have grown wild for decades. Cut several semi-hardwood cuttings from a healthy apple tree in the early spring before the buds open. Semi-hardwood is last year's growth that has weathered a winter and is still supple, but not hard and brittle. They should be 10 inches long and have at least three or four buds per cutting. Fill your containers with 8 inches of sand and water it until it drains out the bottom. Poke a hole in the damp sand about 6 inches deep with the back of a pencil or stick. Dip your cuttings into a container of warm water and then into some dry rooting hormone powder. Gently set each cutting into the prepared hole and press the sand up against the side of it to make good contact. Set the cuttings into a warm (60 to 70 degree Fahrenheit) spot where they can get sunlight. They will need about six weeks before you can expect any growth. Add water when the top of the sand feels dry. Remove the cuttings from the sand when you feel a slight resistance to your pull. You should see white roots sprouting out around the buds. Plant these rooted cuttings into the ground where you would like apple trees to grow, giving them at least a 10-foot clearance from other trees or buildings. Protect the cuttings with plastic tubes and water them weekly, especially for the first year. Rooting hormone is available at garden centers.